First things first...Ghosts, Paranormal, Spirits....what's going on with the world today? More and more people are really kicking up interest in the paranormal, the weird, and the macabre! It brings to mind a lot of old Vincent Price movies or Alfred Hitchcock presents! 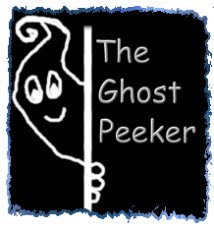 This is about my own personal experiences into the paranormal realm, the people, the places, the equipment, and the ghosts! Some might ask me, just what started my whole interest in this? Well, when I was younger, I was always intrigued with the paranormal. I grew up with all the old B SciFi and horror movies especially with the great classics of Bela Lugosi, Lon Chaney, and Boris Karloff. It grew from there to ghosts and other realms of existences. I had my own experience with what is now termed as a 'shadow person'. In 1976, I was in my room that I shared with my younger sister, when I saw a dark shadow looming there in the doorway. It scared the woogies out of me! I flipped the covers up over my head and began to pray. Scared stiff, I dared not move! Of course, I either fell asleep finally or it went away. I knew it was not my family as it was very tall, its head touched the top of the doorway and it was very thin. It felt very ominous. Well that led me to go looking more into finding out exactly what it was I had experienced. I had gone to my school library and began to pour over every book I could find on ghosts and weird happenings. Back then, the amount of information was not as rich as it is now on the paranormal, but I did the best that I could. Eventually however, forgot about it as time went on and I got older. Then about 6 or 7 years ago, I was living in Nevada when a friend came by with his fiance and I found out she was a ghost hunter?! I was like, a say what? (This was before the whole Ghost Hunter fame of TAPS) She went on to tell me a little bit about what she does with her group. I said I would like to go with them one time and she said no, they don't take anyone unless you are experienced. I was very intrigued! But it was that catch 22 thing, where you can't get hired because you don't have experience and yet you can't get experience unless you get hired?! Someone has to take a chance on you! I since moved to Texas and began to watch a few ghost and paranormal shows here or there. I wasn't a big follower but if I happen to see something, I'd stop and watch for a few minutes. It was intriguing but I wasn't sure how much I really believed. One day, my friend from Nova Scotia was talkin to me on the phone and mentioned Ghost Hunters with Jason Hawes and Grant Wilson of Taps. I had never heard of them before. She said that they were offering an opportunity to go ghost hunting with them and I was like wow! That sounded like a great time! I was in! Little did I know that this would be the start of something big! !